Probation is usually seen by many prosecutors and judges as an "alternative" to jail or prison time. However, do not be fooled to believe that just because you have been placed on probation that you have managed to successfully avoid jail or prison. Most individuals who are placed on probation do not fully understand what it is that they are really signing up for by accepting probation. That is why it is important to consult with and retain quality legal representation. An experienced criminal lawyer such as Richard Ansara has the legal skills required to "dissect" your Broward, Dade, or Palm Beach criminal case in order to achieve the best possible outcome. As a criminal lawyer, I understand the importance of making sure my clients understand all of their options - and the pros and cons of each. When you are sentenced to probation you will be assigned a probation officer; commonly referred to as a PO. Remember, it is the "job" of your probation officer to violate your probation. They are not you friend nor will they look out for your best interest. In fact, probation officers will often violate you even when they "promise" they won't. Probation Officers will submit a warrant for violation of probation to the judge assigned to your division. The judge will then review and sign the warrant. At this point, law enforcement is notified and will be ordered to arrest you on sight. They will often times arrest you at home or your place of work. Once you are arrested you will be held NO BOND. In other words, you will not be allowed out of jail until you appear before the judge assigned to your division. If you are convicted of a probation violation the judge has the authority to sentence you up to the maximum term allowable under law. Beware, do not take probation lightly. Below is a list of issues commonly associated with probation. 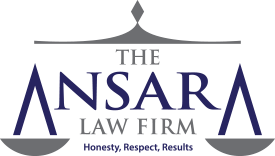 If you have been arrested or you are currently on probation in Broward, Dade, or Palm Beach County and believe you need to consult with criminal attorney Richard Ansara then please contact The Ansara Law Firm here.